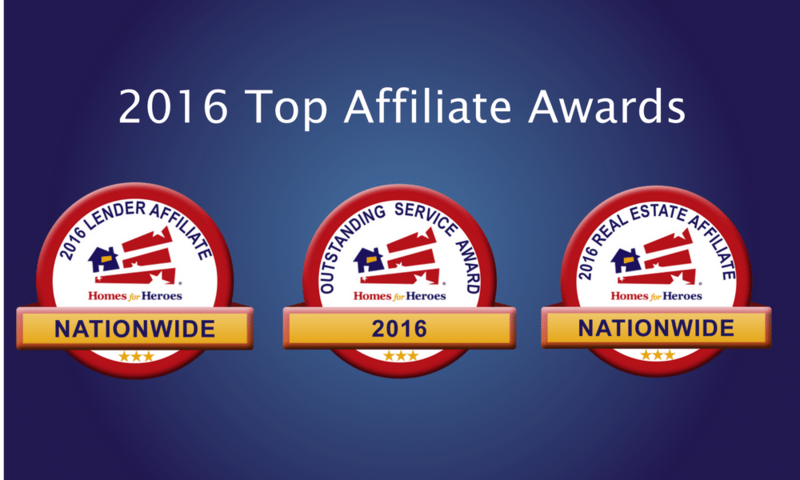 Homes for Heroes® recognizes and congratulates the 2016 affiliate award winners as the top performers in the country. Combined, these affiliates have served hundreds of heroes nationwide and provided nearly $1.9 million in savings to firefighters, law enforcement, military members (active, reserve and veterans), EMS, healthcare workers and teachers in 2016. The Outstanding Service Award is presented to exemplary Homes for Heroes affiliates who consistently go above and beyond in reaching and serving the heroes of their communities. The Top Affiliate Awards are presented to our top performing real estate and lender specialists nationwide, based on hero closings in 2016. The combined savings that these Homes for Heroes affiliates gave back totaled nearly $1.9 million in Hero Rewards®! The affiliates shown below make up our remaining real estate and lender specialists who finished 2016 in the top 2% of all Homes for Heroes affiliates nationwide.